Istanbul is the only city in the world built on two continents: Half of the city is in Europe and the other half is in Asia, separated by the beautiful Bosphorus, making it a truly Eurasian city. 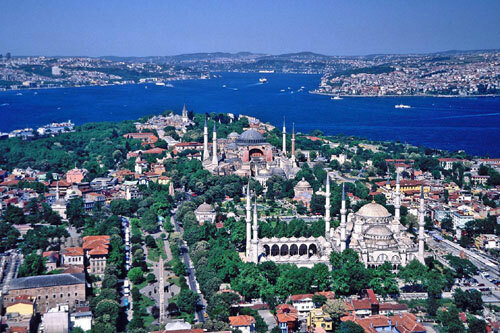 Istanbul lies at the crossroads of Eastern and Western civilizations. At the end of the conference on November 5th, conference attendees may relax and enjoy the beautiful Bosphorus aboard a private cruise ship while tasting a traditional Turkish dinner. Reservations should be made during conference registration as seats are limited. For those staying in Istanbul after the conference, a city tour is arranged on Saturday, November 6th. The tour will cover the most important points in the old city, including the Topkapi Palace, Hagia Sophia Church/Mosque, the Blue Mosque and the Covered Bazaar. The fee for the city tour is € 50. Reservations should be made during conference registration as seats are limited.